India is one of the fast growing countries in the world, providing much importance and encouragement for the popularization of green energy projects. There is tremendous growth in the biogas sector, waste management and sustainable agriculture development. BIOTECH INDIA is the pioneer organization in these fields having more than 21 years of experience in the Research, development and implementation of various green energy projects. BIOTECH INDIA is located at Trivandrum, the capital city of Kerala state in the southern part of India. Kerala is also one of the world famous tourist destinations. BIOTECH INDIA has successfully completed more than 30,000 installations of different models of anaerobic digesters for various applications. 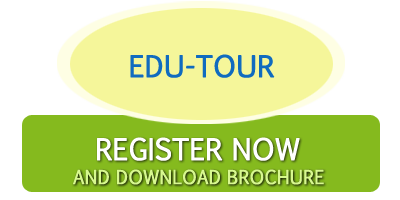 BIOTECH INDIA organizes special education tour (Edu-Tour) for the public particularly for those who want to build and develop their basic knowledge about the possibilities and potentialities of different model biogas projects . This Edu-Tour provides one with a special opportunity to visit different models and types of anaerobic digesters . This Edu-Tour will be a rare opportunity for the Students, Policy makers , Academicians, Researchers, Environmentalists, Business Peoples, Self employment seekers etc.... to visit and study about different models of small and medium size biogas plants. The language used for communication in the Edu-Tour will be English.